There's nothing worse than finally experiencing some glorious sunshine, only for the humidity to leave you looking like a hot mess. Or, to finally think the days of foundation fading in the summer heat have passed, for the cold winds of A/W to eat away at your makeup, leaving you red-faced. To prevent my foundation sliding off whenever there's a heat wave or disappearing whenever the weather turns chilly, there's a few tips I always follow. At least then, when I'm struggling with sweat or I'm shivering under lots of bulky knitwear, my makeup remains looking polished and glam. 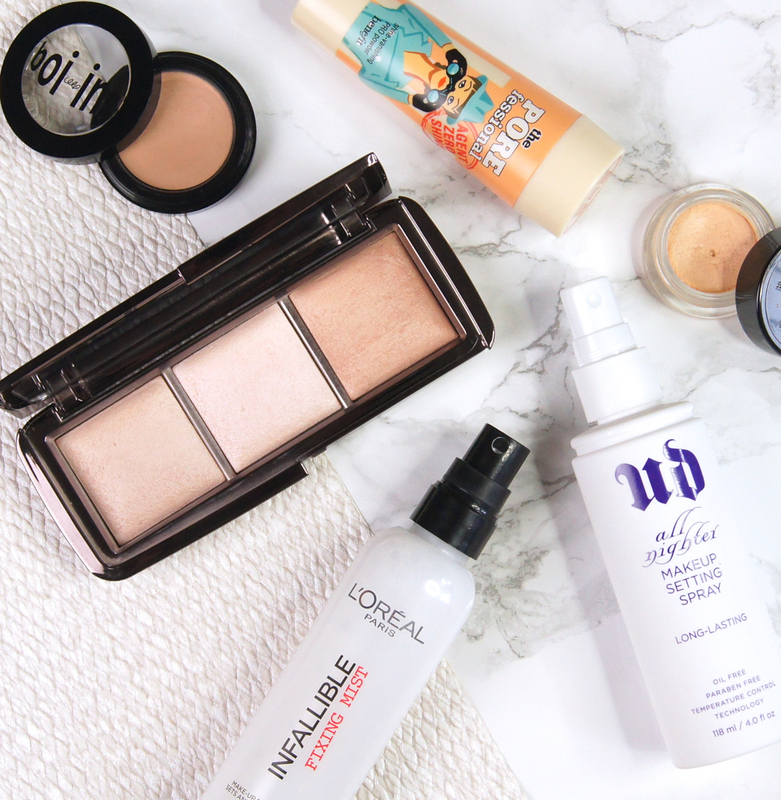 All great makeup starts with great skincare. I mean, you can't paint a wall perfectly when there's rough patches all over it, it's full of holes or it's dirty, can you? The same applies to the face. In order for your makeup to last well on the skin, it needs to be applied on to a smooth, hydrated base, otherwise it will cling to dry patches and disappear from oily areas. Exfoliating is crucial to get rid of any dry, flakey skin and my holy-grail product for ridding my face of dead skin cells is the REN Flash Rinse 1-Minute Facial, as it's so quick and so effective. Honestly, this unique treatment leaves my skin more polished and instantly brighter than any other exfoliator I've ever used, yet it's super gentle. After exfoliating, it's always important to balance the skin with moisturiser, even if you're super oily, to prevent it from overcompensating and producing even more, which will disrupt makeup. 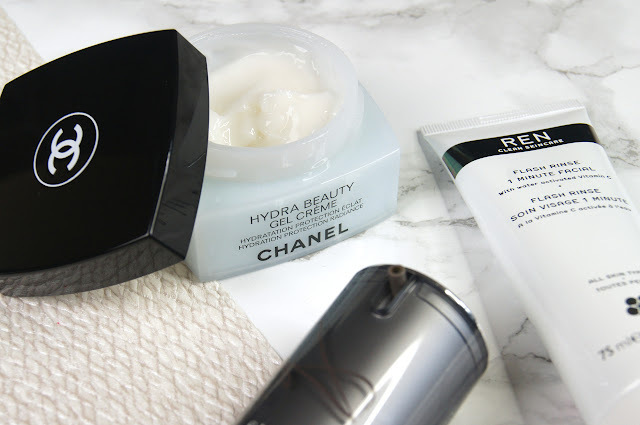 If you prefer a lighter moisturiser, then I can't recommend the Chanel Hydra Beaty Gel Creme enough. This juicy gel is packed with hydrating ingredients to deliver a burst of refreshing moisture that penetrates deeply, in a matter of seconds. Skin is left so soft, plumped and comfortable, without being drowned in a greasy residue. For those with drier skin, I adore the Sarah Chapman Skinesis Morning Facial. A silky elixir full of sumptuous, nourishing oils, this product really gives the skin a dewy, glowing look. It sinks in throughly after about ten minutes and doesn't leave a shiny layer on the skin so, although you wouldn't think that using such a product would be a good idea under makeup, it actually works wonders on skin that craves intense moisture. To give your makeup something to adhere to, using a primer formulated specifically for your skin concerns is always an extra step worth doing. Depending on how my skin is behaving, I switch up the primers I use on a daily basis. When my skin is looking dull and needs a pick-me-up, I always turn to Clarins' Beauty Flash Balm. This cult-classic creates a smoothing, tightening film which acts as a barrier between the skin and makeup, preventing it from fading. Instantly, you can feel the cooling gel-cream firm and hydrate the skin on contact, waking up the complexion in seconds. Soap & Glory's One Heck Of A Blot Primer is the best, affordable, pore-perfecting formula on the market, as it absorbs oil throughout the day and creates a totally even canvas for makeup application. You only need to use a pea-sized drop in any areas with large pores and the silicone-based gel will fill in any holes. Unlike many, similar primers, it doesn't suffocate the skin and leaves it feeling almost velvety-soft. Don't forget to prime the eyes if you want eyeshadow to last all day and night, either. My all-time favourite has to be the Nars Smudge-Proof Eyeshadow Base, which is colorless and mattifies the eyelid. Anything applied over the top is intensified, with pigmentation becoming a lot more vivid and glitters/shimmers even more dazzling. You may think slapping on lots of thick coats of makeup will help it to last longer, but I actually find that has the adverse effect. Instead, working light layers in to the skin is best, thoroughly buffing and blending products, before adding more if you need to. I always prefer to use a medium-density, fluffy brush to apply my foundation and concealer, such as the Real Techniques Cheek Brush which came in the limited-edition Nic's Picks Set, but is now available as part of the Real Techniques Cheek & Lip Set. Then, I always bounce over the top with a damp Beauty Blender to blend further and create a flawless, airbrushed finish. 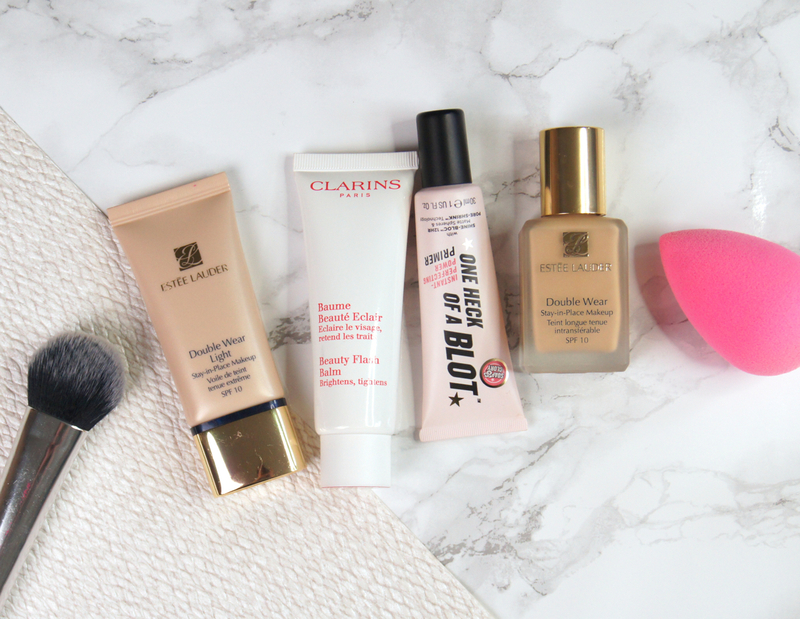 If you haven't tried using makeup sponges before, then you really need to jump on the bandwagon. Purchasing the Beauty Blender was the best decision I've ever made for improving the finish of my makeup, no matter which products I use it with! In my opinion, the best, long-lasting foundations are found within the Estee Lauder Double Wear range. If you want a full-coverage finish, then you really can't beat Estee Lauder's Double Wear Stay-In-Place Foundation. The coverage is very intense and it does set to a semi-matte finish, but it can look natural if you buff in a tiny amount at a time. Once applied, this worry-free foundation will not move. No sweat, humidity or physical activity can affect this base; it's seriously impressive. Just make sure you don't apply too much all at once, as it will quickly set like cement and won't look flattering on the skin in harsh sunlight. Alternatively, you can use a lighter formula all over for a natural look, such as the Double Wear Light Foundation and then follow up with a stronger concealer, which is what I prefer to do. Compared to the original, this base has that amazing lasting power, but offers a sheer to medium, build-able coverage. The only downside with this foundation is the poor shade range, but as it's so sheer, you can get away with the colour not being an exact match. For any areas that need some extra attention, my top concealers are the Becca Ultimate Coverage Concealing Creme, which is deliciously creamy and can hide an abundance of imperfections, whilst still looking bright and natural, or Benefit Boi-ing, which is described as 'industrial-strength' (which it certainly is) and offers ample coverage, but has a much firmer texture and very matte finish. Setting your makeup is a must to ensure great longevity, especially through the T-zone and over any concealer to prevent creasing. You don't need to use a totally matte, chalky formula, though. To retain a gorgeous glow, I absolutely adore the Hourglass Ambient Lighting Powders. Although they look scarily shimmery in the pan, they're so finely-milled that the shimmer doesn't translate on to the skin at all. Instead, they give it a veil of lit-from-within radiance that's totally undetectable. For more of a silky, satin finish that helps to smooth out the complexion even further, Benefit's Porefessional Shine-Vanishing PRO Powder is amazing. On oily skin-types, this loose powder is a dream and immediately absorbs any grease, without leaving any cakey traces behind. I'd just recommend using the powder with your own brush, instead of the mini, in-built one, as I find it applies way too much. For my taste, anyway. As a final step, I always finish off with a spritz of setting spray. Not only does it meld all of your makeup together, but it adds another layer of protection from the elements. My number one choice if you fancy a splurge, has to be the Urban Decay All Nighter Setting Spray. It does exactly what it says on the bottle, delivers a light, gentle mist and feels so refreshing. A budget option from the high-street is the L'Oreal Infallible Fixing Mist, which also works really well to keep everything in place and stops shine from appearing after a few hours. But, it does feel a lot heavier on the skin and has a much more direct spray that can leave the face quite wet, compared to the UD one. How do you ensure your makeup is long-lasting during the warmer months? Lovely post! Light and fresh? The Urban Decay All Nighter Setting Spray sounds lovely, I definitely need to try it! I also believe that keeping everything light and spending an extra time blending out the products is usually very effective! These sound like such luxurious products, uh lovely! It's a shame you mentioned how 'wet' the L'Oreal fixing mist is as i've been desperate to find a good one on the high street, I suppose it can't be too different to the spray of Fix + though? Really great and helpful post! Your Hourglass product looks stunning! I really need to get my hands on it. 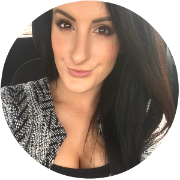 Have you ever tried the Mac Fix+ prep and prime, I really love it as a setting spray. I think you're right, blending and buffing is the key, just as much as a good base! I've wanted to try that Clarins flash balm for the longest time. It sounds like such an unique product! That benefit powder sounds like it was made for me. Thanks so much for the rec! Love the Hourglass powders for setting makeup! I haven't tried any Chanel skincare, but I love gel creme moisturizers so definitely going to check that out! I struggle with my makeup melting year-round so I'm definitely going to try your suggestions out, thank you! I used the ol' mac prime and fix setting spray. This has helped make my makeup stay. I am trying to get my hands on the becca primer. I heard it's the holy grail of primers! That was really good post! 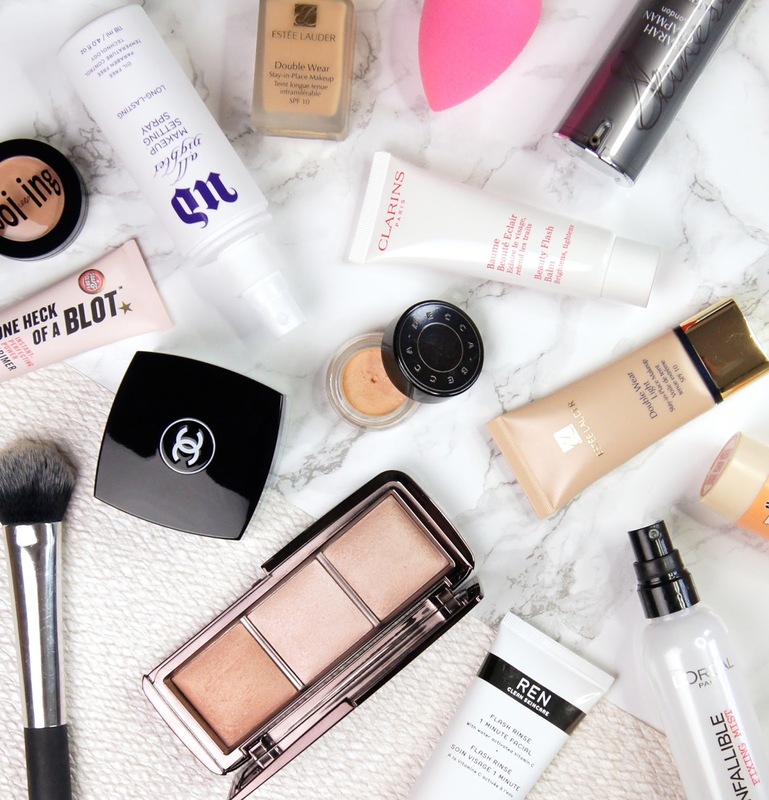 Step by step and everything explained, with your favorite products. Just great!